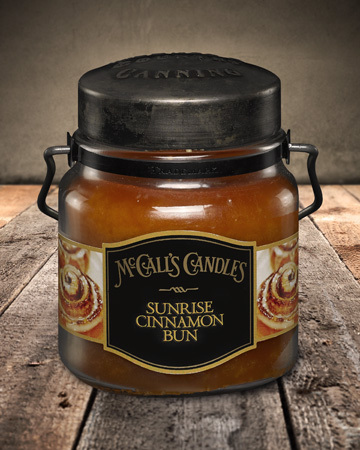 Sunrise Cinnamon Bun 16 oz. About this Fragrance ~ Good morning! Warm cinnamon buns await you. Breathe in and get a whiff of the sweet cinnamon sugar, sticky maple drizzles and cinnamon shavings amongst the warm, soft dough.